REPORT OF AN OVERTURNED SAILBOAT. BC61 REPORTS FIREFIGHTERS SUSPECT THE WIND BLEW THE SMALL SAILBOAT OFF ITS TRAILER AND INTO THE MIDDLE OF THE LAKE. LAUNCHING RESCUE BOAT FOR RECONNAISSANCE AND TO SECURE BOAT. REPORT OF A TREE THAT FELL ON A HOUSE. BC15 REPORTS A SIGNIFICANT TREE POSING AN IMMINENT THREAT TO A HOUSE. REQUESTING TREE SERVICE AND/OR PUBLIC WORKS. 6-8-6 REPORTS HOLD UP E2 AND HELICOPTER. LARGE GROUP OF PEOPLE KITE SURFING, BUT NO JET SKIERS OBSERVED. FIRE DEPARTMENT ASKING POLICE TO HAVE PEOPLE LEAVE THE LAKE FOR THEIR SAFETY. INCIDENT FOUND AT WILSON AND THE LAKE SHORE -- TOYOTA WITH FLASHERS ON REPORTING MISSING JET SKIER. FIREFIGHTERS DISCOVER A WIND SURFER ABOUT ONE BLOCK OUT INTO THE LAKE -- REQUESTING POLICE MARINE UNIT RESPONSE TO THE WIND SURFER, AND "LAND" POLICE TO RESPOND CLEAR THE BEACH OF WIND SURFERS AND KITE SURFERS. CHIEF(S): BC ? ?, DEPUTY DISTRICT CHIEF (SCUBA) 6-8-6, SPECIAL OPERATIONS BC 5-1-5. ALL UNITS NOT CONFIRMED ON SCENE. HIGH WAVES FROM LAKE MICHIGAN ARE CRASHING OVER NORTHBOUND LAKE SHORE DRIVE AT THE 1200 BLOCK. NORTHBOUND LAKE SHORE DRIVE WAS CLOSED ABOUT 125 P.M. FROM MICHICAN AVENUE TO NORTH AVENUE. THE MICHIGAN AVENUE RAMP WAS ALSO CLOSED. BC13 REPORTS THEY NEED A WORKING FIRE RESPONSE FOR REAR PORCHES ON FIRE AND HIGH WINDS. FIRE IS KNOCKED AT ABOUT 12:49:33 PM -- COMED ON THE WAY. 4 LINES ON THE FIRE UNDER CONTROL BY ABOUT 12:54 PM. 2-2-1 REPORTS TWO EXPOSURES AT 4324 AND 4328 -- BOTH GREYSTONES. REPORT OF A HOUSE ON FIRE AND ALSO A REPORT OF EXTERIOR FENCE ON FIRE -- POSSIBLY A DETACHED GARAGE FIRE. E14 CREW ON ARRIVAL REPORTS A TWO-STORY SINGLE FAMILY RESIDENCE WITH SMOKE SHOWING IN THE BACK AND A CONFIRMED GARAGE FIRE AT ABOUT 12:12 PM. E14 ON OVERHAUL AT 12:17 PM. E38 CREW ON ARRIVAL REPORTS A LITTLE SMOKE. BC13 REPORTS A 2-STORY ORDINARY 25X50, FIRE APPEARS TO BE ON THE SECOND FLOOR, ONE LINE ON THE FIRE, PRIMARY SEARCH UNDERWAY, COUPLE OF GROUND LADDERS UP, ALL COMPANIES WORKING AT 2:03 PM. BC13 REPORTS THE FIRE IS UNDER CONTROL, PRIMARY SEARCH COMPLETE AND NEGATIVE, SECONDARY SEARCH UNDERWAY, HOLDING UP SQD1 AND CV271. BC7 REPORTS A FIRE BETWEEN THE PANELING AND THE OUTSIDE WALL OF THE PORCH -- HOLDING UP SQD2 AND CV272 AT 2:40 PM. ADDRESS IS 4636 AND 4634 PALMER. US MARSHALS EVACUATED SOME FLOORS OF KLUCZYNSKI FEDERAL BUILDING ABOUT 7:15 A.M. ENTIRE BLOCK AROUND THE KLUCZYNSKI FEDERAL BUILDING HAS BEEN CLOSED TO TRAFFIC. CLARK CLOSED BETWEEN ADAMS AND JACKSON. ADAMS CLOSED BETWEEN CLARK AND DEARBORN. BOMB-SNIFFING DOGS AT KLUCZYNSKI FEDERAL BUILDING AND THE DIRKSEN FEDERAL COURTHOUSE ACROSS THE STREET. BC8 REPORTS E16 IS STANDING BY WITH A 2 1/2 LINE AFTER THE WATER DEPARTMENT CUT A GAS LINE. COMPANIES EVACUATING A FEW BUNGALOWS AND STANDING BY FOR GAS COMPANY. 44 CREW ON ARRIVAL REPORTS A SINGLE-FAMILY HOME WITH CONSTRUCTION -- TWO CARS FULLY-INVOLVED AND ATTACHED GARAGE FULLY-INVOLVED. GENERAL ALARM UPGRADED TO A SPECIAL ALARM AT 12:05 AM FOR FULLY-INVOLVED ATTACHED GARAGE FIRE WITH EXTENSION TO THE HOUSE. ALL RESIDENTS REPORTED SAFELY EVACUATED AT NEIGHBOR'S HOUSE AT 12:06 AM. ALL COMPANIES WORKING AT 12:11 AM. KNOCK ON THE FIRE AT 12:16 AM. SINGLE-VEHICLE ROLLOVER CRASH AND VEHICLE BACK UP ON ITS WHEELS. EXTRICATION ON THE UPRIGHT VEHICLE. UNKNOWN IF THE RESPONSE CREWS WERE LAKE BLUFF OR NORTH CHICAGO CALL OR BOTH. CRASH WITH INJURIES AND A REPORT OF A POSSIBLE HIT-AND-RUN. E1041 CREW ON ARRIVAL REPORTS ONE VEHICLE AT THE SCENE WITH MODERATE FRONT END DAMAGE. SECOND VEHICLE FOUND -- ALL REFUSALS. REPORT OF A CAR FIRE. POLICE ON SCENE REPORT A CRASH WITH VEHICLE FIRE. BC26 ADDED TO THE CALL. E27 CREW ON ARRIVAL REPORTS ONE CAR AND ONE DUMP TRUCK ON FIRE. E84 ON ARRIVAL REPORTS REPORTS A ROLLOVER CRASH AT 4:37 PM. E84 REPORTS THEY ARE ABLE TO GET THE VICTIM OUT -- HOLDING THE PIN-IN RESPONSE. E60 CREW ON ARRIVAL REPORTS SCAFFOLDING FELL ON A PERSON AT A BUILDING THAT WAS UNDER CONSTRUCTION. BC19 REPORTS ON ARRIVAL REPORTS A 2 1/2-STORY FRAME WITH HEAVY FIRE IN THE SECOND FLOOR AND ATTIC. E93 CREW ON ARRIVAL REPORTS A 1 1/2-STORY FRAME OCCUPIED WITH SOME SMOKE SHOWING. BC22 REPORTS A 1-1/2 STORY FRAME 25X45 WITH A FIRE ON THE FIRST FLOOR. BC22 REPORTS A SMALL FIRE ON THE FIRST FLOOR -- HOLD UP THE SQUAD AND THE COMMAND VAN, FIRE IS OUT BY 2:46 PM. T26 CREW ON ARRIVAL REPORTS A TWO-STORY ORDINARY WITH A FIRE ON THE FIRST FLOOR "GIVE ME BOX." EMERGENCY, EMERGENCY ... COLLAPSE IN THE FRONT OF THE BUILDING AT 1:49 PM. BC14 REPORTS A TWO-STORY ORDINARY, 25X50 GREYSTONE WITH FIRST FLOOR PORCH COLLAPSE AT THE FRONT OF THE BUILDING. "WE'RE TURNING A COUPLE OF LINES ON THE FRONT NOW." KNOCK ON THE FIRE ON THE FIRST FLOOR AT ABOUT 1:55 PM. 3 LINES ON THE FIRE, AERIAL TO THE ROOF, REAR PORCH COLLAPSE, SEARCHES DELAYED BECAUSE OF HEAVY FIRE CONDITIONS BY 1:56 PM. 4 LINES ON THE FIRE, 3 IN OPERATION, NO EXPOSURE ISSUES, PRIMARY SEARCH UNDERWAY, 3 GROUND LADDERS UP, ALL COMPANIES ARE WORKING, AND MAIN BODY OF FIRE IS UNDER CONTROL BY 2:00 PM. PRIMARY COMPLETE ON BASEMENT, FIRST AND SECOND FLOOR, SECONDARY SEARCH UNDERWAY BY 2:04 PM. HUMAN SERVICE FOR 7 ADULTS. STRUCK OUT AT 2:04 PM ON ORDERS OF 221. E38 CREW ON ARRIVAL REPORTS A FIRE IN A TWO-STORY ORDINARY. TWO LINES ON THE FIRE -- UNDER CONTROL AT 1:21 PM. ONE MINOR INJURY TO A FIREFIGHTER. SEARCHES COMPLETE AND NEGATIVE, WASHING DOWN AT 1:35 PM. E129 ON ARRIVAL REPORTS A HIGH PRESSURE GAS LINE CUT. E129 REPORTS COM ED WAS DRILLING IN THE GROUND AT 76TH ST AND ASHLAND AVE AND HIT A HIGH PRESSURE GAS LINE. 5-1-5 REPORTS A BUILDING AND CONSTRUCTION SITE BEING EVACUATED NEAR THE SCENE. CONSTRUCTION SITE JUST TO THE NORTH HAS BEEN EVACUATED. A TRUCKING BUSINESS ALSO EVACUATED JUST TO THE EAST OF THE GAS LEAK. A BUILDING DOWNWIND IS ALSO EVACUATED AND ROLL CALL BEING TAKEN BY 10:50 AM. NO EXPOSURE ISSUES AT THE SCENE FOR A LEAKING 6-INCH MEDIUM PRESSURE GAS MAIN. REPORT OF A STRONG CHEMICAL ODOR. 13-15 PPM ON THE THIRD FLOOR -- CHECKING OTHER FLOORS. WORKERS ARE LINING SEWERS OUT IN FRONT OF THE SCHOOL RIGHT NOW -- POSSIBLY RELATED. THIRD AMBULANCE TO THE SECOND FLOOR FOR ANOTHER VICTIM. FOUR PEOPLE TRANSPORTED TO AREA HOSPITALS. ENTIRE SCHOOL STUDENTS AND STAFF EVACUATED AND RELOCATED. WIND WNW 10 MPH ?? VEHICLE-PEDESTRIAN INCIDENT WITH SERIOUS INJURIES ON NEW YORK ST NEAR KENDALL ST. MALE, AGE 24, CROSSING STREET AT NEW YORK ST AND KENDALL ST WAS HIT BY A VEHICLE. NEW YORK ST BLOCKED DURING RESCUE OPERATIONS AND INVESTIGATION. LIFE-THREATENING INJURIES -- POSSIBLY A FATAL CRASH. TRAFFIC ALERT: POSSIBLE FATAL CRASH-VEHICLE VS. PEDESTRIAN-KENDALL AND NEW YORK. INTERSECTION OF KENDALL AND NEW YORK CLOSED IN ALL DIRECTIONS. WESTBOUND TRAFFIC AT NEW YORK AND FARNSWORTH INTERSECTION CLOSED. MORE AS IT BECOMES AVAILABLE. 221 ON ARRIVAL REPORTS A 4-STORY TOWNHOUSE/APARTMENT COMPLEX WITH LIGHT SMOKE SHOWING ON THE TOP FLOOR AT 8:03 AM. REPORT OF A FEMALE THAT NEED ASISSTANCE WITH EVACUATION. 221 REPORTS ONE LINE LED OUT WITH INLINE OPERATION BECAUSE THERE ARE NO HYDRANTS AT THE COMPLEX AT 8:09 AM. FIRE EXTINGUISHED WITH HAND PUMPS, BURN VICTIM IN THIRD FLOOR APARTMENT BEING EVALUATED BY 457, LADDERED SIDE A, PRIMARY SEARCH COMPLETE AND NEGATIVE, AND SECONDARY SEARCH UNDERWAY. REPORT OF A FIRE INVOLVING A FENCE AND PATIO DECK -- POSSIBILITY OF A PROPANE TANK NEARBY. BC5 UPGRADES TO A CODE 4 BASED ON REPORT AT 6:17 AM. -- LEADING OUT FROM THE RIGHT BED. KEEPING TWO ENGINES, TWO TRUCKS, ALL OTHER EQUIPMENT RETURNED. BC5 REPORTS AN EXTERIOR FIRE INVOLVING A FENCE AND DECK; FIRE IS OUT BY 6:25 AM. FIRE UNDER INVESTIGATION. CAUSE UNKNOWN; CHECKING A TRANSFORMER. CODE 4 WORKING FIRE RESPONSE ON ORDERS OF BC5 AT 6:17 AM. E122 CREW ON ARRIVAL REPORTS A TWO-STORY FRAME FULLY-INVOLVED. REPORT OF PEOPLE TRAPPED IN THE FRONT BASEMENT. ALSO A REPORT OF A PERSON TRAPPED IN THE BASEMENT REAR. FIREFIGHTERS ENTERED THROUGH A BACK WINDOW FOUND A 60-YEAR-OLD WOMAN, WHO WAS RESCUED AND TRANSPORTED TO ST BERNARD'S HOSPITAL. FIRE COMMUNICATION TO 8112 S VINCENNES. BC21 REPORTS A 25 X 40 FRAME WITH FIRE ON THE FIRST AND SECOND FLOOR AND THROUGH THE ROOF. THREE LINES ON THE FIRE, NO LADDERS UP YET AT 4:30 AM. FIRE IS UNDER CONTROL BY 4:33 AM. PRIMARY SEARCHES UNDERWAY BY 4:33 AM. STRUCK OUT AT 5:40 AM. BC1 REPORTS IT LOOKS LIKE FIRE IS VENTING OUT THE TOP FLOOR AT 2:17 PM. FIRE IS ON THE 15TH FLOOR AND IS UNDER CONTROL. FIRE WAS MOSTLY RUBBISH AROUND A WINDOW SILL. COMPANIES HANDLING WITH HAND PUMPS AND LOOKING FOR STANDPIPE. FLOOR AND POSSIBLY ENTIRE BUILDING IS UNDER RENOVATION. STRUCK OUT AT 2:34 AM ON ORDERS OF 2-2-1. MABAS DIVISION 21 INVESTIGATORS REQUESTED AT 8:00 PM FOR THE STRUCTURE FIRE (HOUSE FIRE). MABAS DIVISION BOX ALARM ON BOX #31E FOR A ROLLOVER CRASH WITH MULTIPLE INJURIES. THREE PATIENTS TRANSPORTED. EMS BOX ALARM STRUCK OUT AT 2:38 PM. BC23 REPORTS A 200X200, ONE-STORY COMMERCIAL BUILDING WITH A FIRE ON THE ROOF. BC23 REQUESTS A STILL AND BOX at 11:25 AM. TWO LINES ON THE FIRE -- ONE INTERIOR AND ONE EXTERIOR. CHECKING FOR EXTENTION. PRIMARY AND SECONDARY SEARCHES COMPLETE. OPENED UP THE DOGHOUSE ON THE ROOF. FIRE IS UNDER CONTROL AT 11:36 AM. CORRECTED ADDRESS 7558 SOUTH CHICAGO AVE.
REPORT OF AN ATTACHED GARAGE FIRE IN A ROWHOUSE. POLICE ON THE SCENE FIRST REPORT A FIRE IN THE GARAGE "RIGHT NOW" AT ABOUT 7:58 PM. CREW ON ARRIVAL REPORTS A FIRE IN AN ATTACHED GARAGE. INTERIOR REPORTS HEAVY SMOKE IN THE HOUSE; CHECKING FOR EXTENSION. PASSER BY REPORTED A FENCE ON FIRE NEAR A HOUSE AT SCHAUMBURG RD AND SUTTON RD. CALL UPGRADED FROM A CODE 2 WITH T32 TO A CODE 3 AT 2:24 AM. REPORT FROM POLICE THAT A FENCE IS ON FIRE WITHIN THREE FEET OF A HOUSE WITH FLAMES AS HIGH AS THE HOUSE -- POSSIBLY ASSOCIATED WITH A GAS LEAK. T32 ON ARRIVAL REPORTS A LARGE FIRE ON THE OUTSIDE OF THE HOUSE. T32 LEADING OUT WITH AN 1 3/4 AND CONNECTING TO A HYDRANT. HANOVER PARK TRUCK AND BARTLETT ENGINE HELD UP. ALL QUADCOM 2 FIRE DEPARTMENTS DUE WITH DIVERS TO STANTON BAY. REPORT THAT INCIDENT IS RIGHT IN THE MIDDLE OF THE LAKE. A244 ON SCENE REPORTS A ONTOON BOAT "WAVING US DOWN" -- INVESTIGATING AT 4:53 PM. REPORT FROM A WITNESS THAT A MAN JUMPED OFF THE BACK OF BOAT TOWARD THE PROPELLER. NO ONE ELSE WAS SEEN ON THE BOAT AT THE TIME. AT 4:58 PM. DIVE VAN RESPONDING AT 4:59 PM. ALL AVAILABLE PERSONNEL RESPOND TO STATION 1 FOR A GENERAL ALARM AT 4:59 PM. AT 5:12 PM DIVEMASTER 41 REQUESTS DIVERS RESPOND TO 37354 BAY SHORE RD (ACROSS FROM STANTON POINT AT THE MOUTH OF STANTON BAY AND FOX LAKE). LAKE VILLA BOAT 241 ON THE WATER AT ABOUT 5:16 PM. DIVERS BEING RELEASED AT ABOUT 7:50 PM. MABAS DIVISION 4 BOX ALARM ON BOX #24-69 FOR A WATER RESCUE DIVE OPERATION 2ND ALARM LEVEL. REPORT OF A TIRE ON FIRE ON THE TOP FLOOR OF THE PARKING GARAGE. REPORT OF A PILE OF LEAVES INTENTIONALLY SET ON FIRE. ALSO A SHED FIRE TURNED OUT TO BE A SMALL GRASS FIRE IN CRYSTAL LAKE ON TRAILWOOD DR.
REPORT OF A SHED ON FIRE NEXT TO A HOUSE CREW ON ARRIVAL REPORTS. REPORTED TO BE A SMALL GRASS FIRE WITH NO STRUCTURE FIRE. ALSO A REPORT OF A PILE OF LEAVES INTENTIONALLY SET ON FIRE IN ALGONQUIN ON THORNWOOD LN. REPORT OF A FIRE INSIDE THE GARAGE FROM A STOVE WITH OIL ON THE STOVE -- FLAMES VISIBLE. E24 CREW ON ARRIVAL REPORTS EVACUATION FROM FIRE AND SMOKE IN THE GARAGE AT 11:10 AM. COMMAND REPORTS A SMALL FIRE IN THE GARAGE, FIRE IS OUT, CHECKING FOR EXTENSION IN THE HOUSE, E24, BC6, T22, A24 CONTINUE IN, ALL OTHER COMPANIES RETURN AT 11:12 AM. E113 CREW ON ARRIVAL REPORTS THEY HAVE A FIRE WITH SMOKE SHOWING -- FORCING ENTRY. BC13 REQUESTS A BOX ENGINE TO THE REAR OF THE BUILDING AT 8:57 AM. 2-2-1 REPORTS 3 LINES ON THE FIRE IN A TWO-STORY ORDINARY CONNECTED TO A FRAME BUILDING, 25X75. TWO AERIALS TO THE ROOF AND TWO GROUND LADDERS UP. ALL COMPANIES WORKING AT 9:06 AM. SEARCHES COMPLETE AND NEGATIVE IN THE MAIN FIRE BUILDING AT 9:15 AM. MAIN FIRE IS EXTINGUISHED, CHECKING FOR EXTENSION TO THE BUILDING ON SIDE D AT 9:18 AM. SECONDARY SEARCH COMPLETE AND NEGATIVE AT 9:19 AM. BRICK BUILDING BUILT IN 1923. TRUCK(S): T ?? T ?? TL14? STILL AND BOX ALARM AT 08:57 AM. MABAS DIVISION 10 BOX ALARM ON BOX #8-01 FOR A STRUCTURE FIRE(HOUSE FIRE). AT LEAST ONE PERSON INJURED WITH RIVERSIDE AMBULANCE ASSIGNED TO MAKE PATIENT CONTACT AT A NEIGHBORS HOUSE. INVESTIGATOR BOX ALARM AT 5:43 AM. BC5 REPORTS 3-STORY FRAME 25X70 WITH A FIRE IN THE REAR AT 922 NEWPORT. BC5 REPORTS ONE LINE ON THE FIRE WITH THE MAIN BODY OF FIRE KNOCKED DOWN BY 1:43 AM. THREE-STORY BUILDING; FIRE WAS IN BETWEEN TWO BUILDINGS. DOING OVERHAUL BY 1:50 AM. EMS: A6 FC452 STANDBY A ?? POLICE ON SCENE FIRST REPORT HEAVY SMOKE AND FIRE AT 7:48 PM. FIRE UNDER CONTROL AT 8:06 PM. BC11 REQUEST A CODE 4 RESPONSE. CODE 4 AT 7:40 PM. E54 CREW ON ARRIVAL REPORTS ALL OTHER COMPANIES CAN RETURN. SMALL ELECTRICAL FIRE. MABAS DIVISION 5 BOX ALARM ON BOX #5-960A FOR A BRUSH FIRE. BRUSH FIRE INVOLVING OVER 4 ACRES AT COOK COUNTY FOREST PRESERVE CRABTREE NATURE CENTER. TL14 CREW REPORTS SMELLING SMOKE IN THE AREA OF CHICAGO AVE AND KARLOV AVE ... THEN REPORTS A FIRE AT 835 N KARLOV AVE.
BC13 REPORTS A 45X75, 2-STORY ORDINARY, "WE GOT A FIRE ON THE FIRST FLOOR, ONE LINE LED OUT." E108 CREW ON ARRIVAL REPORTS REPORTS WE HAVE SMOKE. COMPANIES HELD UP EXCEPT THE TRUCK FOR A SMALL FIRE ON THE BACK PORCH. ENG 98 ON ARRIVAL REPORTS A COMED VAULT FIRE AND REQUEST A LEVEL I HAZMAT. BC1 REPORTS SMOKE COMING FROM A COUPLE OF BELOW-GRADE VAULTS. BC1 REPORTS THAT FIRE APPEARS TO BE SPREADING NORTH. NOTIFY STREETS AND SANITATION DEPARTMENT TOWS TO STANDBY IN CASE THEY HAVE TO START TOWING CARS PARKED ON THE STREETS AT ABOUT 1:26 AM. BC1 REPORTS VAULTS ARE EXPLODING -- TRAVELING EASTBOUND WITH FIRE SHOOTING OUT OF OPENINGS EASTBOUND ON MAPLE ST AT 1:28 AM. BC1 REPORTS AT 1:44 AM POWER OUT AT A 3-STORY AT 1003-1021 N DEARBORN ST -- OCCUPANTS FINE, THEY WILL STAY IN PLACE. BC1 REPORTS AT 1:45 AM THERE IS ALSO POWER OUT AT A 15-STORY HIGH-RISE (CORRECTED TO 20-STORY THEN CORRECTED TO 16-STORY) WITH NO SPECIAL NEEDS RESIDENTS AND A BUILDING ENGINEER ON SCENE. BC1 REPORTS AT 1:45 AM THAT COMED IS ON SCENE AND AREA IS ISOLATED AND TRAFFIC CONTROLLED. NO MORE SMOKE ON DEARBORN ST, BUT THERE IS ONE VAULT SMOKING ON STATE ST.
COMED REQUESTING GAS COMPANY TO THE SCENE AT ABOUT 2:04 AM. COMMAND POST AT 1030 N DEARBORN ST.
BC1 REPORTS BELOW GRADE VAULTS HAVE BURNED THEMSELVES OUT AND COMED BELIEVES THERE WILL BE NO FURTHER ISSUES WITH THE VAULTS AT 2:15 AM. LEVEL 1 HAZMAT SECURED AT 2:15 AM ON ORDERS OF BC1. COMED IS ORDERING A GENERATOR FOR THE 20-STORY HIGH-RISE AT 1030 N DEARBORN ST. CREW ON ARRIVAL REPORTS HEAVY DAMAGE AT THE ROLLOVER CRASH. ALL MEDICAL RELEASES AT THE ROLLOVER CRASH BY 4:06 PM. REPORT OF A CAR CRASH INTO A POT BELLY SANDWICH SHOP RESTAURANT. CAR DID NOT GO INTO THE BUILDING, BUT DID HIT A PATIO AREA. REPORT OF NO INJURIES. E23 CREW ON ARRIVAL REPORTS REPORTS NOTHING SHOWING WITH EVACUATION AT 9:54 AM. COMMAND REPORTS A FIRE IN A FAN, CREWS ENTERING THE ATTIC. E23 ORDERED WITH THE THERMAL IMAGE CAMERA TO THE FRONT DOOR AT 9:57 AM. E59 CREW ON ARRIVAL REPORTS THE ADDRESS IS A COMED FACILITY -- "I'LL GET BACK TO YOU." BC9 REPORTS A FIRE IN A TRANSFORMER IN A SUBSTATION; NEED COM ED ASAP ... DEFENSIVE -- EVERYBODY OUT -- IT'S ARCING AWAY IN HERE AT 8:32 AM. BC ?? REPORTS A COMMONWEALTH EDISON SUBSTATION ONE BLOCK BY ONE BOCK WITH A FIRE IN A TRANSFORMER. LEVEL I HAZMAT AT WORKING FIRE AT 8:36 AM ON ORDERS OF BC9. VICTIMS WITH GUNSHOT WOUNDS ... ANOTHER VICTIM FOUND IN AN ALLEY. POLICE WITNESSED TWO MEN SHOOTING AT EACH OTHER AT 7900 SOUTH JUSTINE ST AFTER A ROBBERY. ONE GUNMAN SHOT BY POLICE. TWO VICTIMS SHOT IN ROBBERY: 1 KILLED, ONE SHOT IN LEG AND TRANSPORTED TO LEVEL I TRAUMA CENTER ADVOCATE CHRIST MEDICAL CENTER. OFFENDING GUNMAN TRANSPORTED TO LEVEL I TRAUMA CENTER ADVOCATE CHRIST MEDICAL CENTER. SECOND OFFENDING GUNMAN IN ROBBERY AT LARGE. REPORT OF A VEHICLE FIRE THAT SPREAD TO THE GARAGE AND HOUSE. POSSIBLE MULTIPLE VEHICLES INVOLVED. POLICE REQUEST A FIRE DEPARTMENT RESPONSE FOR A SUSPICIOUS PACKAGE ON THE FOOTBALL FIELD. NO THREAT WAS ASSOCIATED WITH THE PACKAGE WHICH WAS DISCOVERED ABOUT 10:30 AM. HIGH SCHOOL IN SOFT LOCKDOWN. LOCKDOWN CLEARED AT 12:20 PM. THU OCT 23 2014 ~10:13 AM, HOFFMAN ESTATES FIRE DEPARTMENT, STOVE FIRE WITH INJURY, 3695 N FIRESTONE HOFFMAN ESTATES, IL, REPORT OF A FIRE IN THE KITCHEN WITH A PERSON INJURED. POLICE ON THE SCENE FIRST REPORT A FIRE IN THE STOVE WITH ONE PERSON INJURED. POLICE BELIEVED THE FIRE WAS OUT INSIDE THE STOVE. E23 CREW ON ARRIVAL REPORTS NOTHING SHOWING. FIRE IS OUT AT ABOUT 9:14 AM. ALL COMPANIES RETURN, EXCEPT FOR A23. A24 TO THE SCENE FOR A POSSIBLE SECOND INJURED VICTIM. E5 REPORTS THEY WILL TAKE IT IN, AND E3 REMAINS IN QUARTERS. E5 REPORTS ONE PATIENT TRAPPED AND ONE PATIENT EXTRICATED PRIOR TO ARRIVAL AT ABOUT 9:18 AM. REQUESTING TWO ADDITIONAL AMBULANCES AT ABOUT 9:18 AM. MABAS DIVISION BOX ALARM ON BOX #866 FOR RETRIEVAL OF OBJECTS ON ORDERS OF CHIEF 800. STRUCK OUT AT 5:29:57 PM ON ORDERS OF 800. BC14 REPORTS A CONFIRMED PIN-IN CRASH WITH T32 WORKING WITH THEIR HURST TOOL AND A33 ALREADY ON THE SCENE AT 12:11 PM. BC14 REPORTS LAST VICTIM EXTRICATED BY 12:27 PM ... A33 TRANSPORTING A PATIENT CODE RED TO SINAI, A10 TRANSPORTING A PATIENT CODE RED TO STROGER, AND A64 TRANSPORTING A PATIENT CODE RED TO SINAI. REPORT OF A FIRE IN A MANUFACTURING BUILDING. T29 REPORTS A LOT OF BLACK SMOKE OVER THEIR, AND BC13 ORDERS A WORKING FIRE RESPONSE. T29 CREW ON ARRIVAL REPORTS A 1 1/2-STORY BRICK BUILDING -- LOOKS LIKE A TRUSS ROOF. BC13 REPORTS A ONE-STORY MANUFACTURING BUILDING 35X125 WITH A FIRE THROUGHOUT. FIRE BURNING THROUGH THE ROOF AT 2:01 PM. TREE MASTERS STREAMS, ROOF COLLAPSE, WALLS DOWN, ALL COMPANIES WORKING AT 2:15 PM. REPORT OF A SEMI-TRAILER TRUCK CRASH WITH A CAR. BC5500 ON ARRIVAL REPORTS NOTHING AT THE INTERSECTION. CRASH REPORTED NORTH OF TWIN ORCHARD COUNTRY CLUB. BC55OO ON ARRIVAL REPORTS A HEAD-ON CRASH OFF TO THE SIDE OF THE ROAD INVOLVING A MINI VEHICLE AND A SEMI-TRAILER TRUCK WITH A CAR FIRE. PATIENT EXTRICATED BY 1:09 PM. WORKER RESCUED FROM A MACHINE. COMPANY PROVIDES LINEN FOR RETAIL MEDICAL AND HOSPITALITY INDUSTRY. MABAS DIVISION 16 BOX ALARM ON BOX #? FOR A STRUCTURE FIRE (APARTMENT FIRE). FIREFIGHTER INJURED; NO RESIDENTS/CIVILIANS INJURED. FIRE STARTED IN A SECOND FLOOR APARTMENT ABOUT 6:15 PM. UPDATE: SUBJECT WAS NOT SUICIDAL AND WAS NOT ARMED. SURRENDERED FROM HIS MOTHER'S ATTIC AT ABOUT 2:30 PM. MAN TRANSPORTED TO HOSPITAL. REPORT OF A SUICIDAL SUBJECT -- POSSIBLY ARMED SUBJECT IN A STANDOFF WITH CARY POLICE. NIPAS RESPONDING; BEARCAT ARMORED VEHICLE AND OTHER NIPAS VEHICLES IN THE AREA. CARY FIRE DEPARTMENT ON STANDBY. 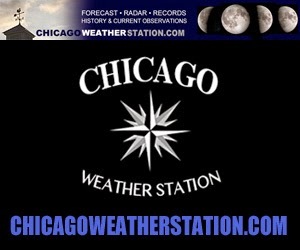 NO ALERT ON CARY, ILLINOIS NIXLE AS OF 12:15 PM. POLICE ON THE SCENE WITH A HOUSE FIRE AND REPORT OF A MAN WITH A GUN. E76 REQUESTS A BOX AT 3:13 AM. BC7 REPORTS MAIN FIRE BUILDING IS A 2-STORY FRAME 25X50 WITH ONLINE ON THE FIRE. EXPOSURE BUILDING 25X50, 2-STORY FRAME WITH A GROUND LADDER TO SIDE AND AN AERIAL TO THE ROOF AT 3:20 AM. SEARCHES ALSO UNDERWAY BY 3:20 AM. TWO LINES ON THE MAIN FIRE BUILDING AND TWO LINES ON THE EXPOSURE BUILDING BY 3:21 AM. EXPOSURE BUILDING IS 3570 (VACANT) -- NOW OPEN AND DANGEROUS. SEARCHES COMPLETE IN BOTH BUILDINGS AT 3:46 AM. ONE INJURED FIREFIGHTER TRANSPORTED TO ILLINOIS MASONIC IN A48 BY 3:59 AM. HUMAN SERVICES FOR SEVEN ADULTS AND THREE CHILDREN. FINAL SEARCH COMPLETE AND NEGATIVE IN THE EXPOSURE BUILDING AT 4:13 AM. FINAL SEARCH COMPLETE AND NEGATIVE IN THE MAIN FIRE BUILDING AT 4:16 AM. MALE, AGE 18, ARRESTED -- SUSPECTED OF SETTING FIRE. STILL AND BOX ALARM AT 03:13 AM ON ORDERS OF E76. STRUCK OUT AT 3:47 AM ON ORDERS OF 2-2-2. BC4 ON ARRIVAL REPORTS A 7-STORY RESIDENTIAL WITH SMOKE SHOWING. BC4 REPORTS A FIRE ON THE FIFTH FLOOR AT 8:02 PM. 7-STORY WITH A FIRE ON THE 4TH FLOOR AT 8:05 PM. BC4 ... GIVE ME A BOX AT 8:06 PM. TRAFFIC SHUT DOWN NORTHBOUND AT VAN BUREN AND WESTERN. 2-1-5: "SEND TWO MORE TRUCKS TO THIS INCIDENT." MAKING GOOD PROGRESS AND STAIRWAYS ARE CLEAR AT 8:25 PM. SEARCHES ARE CLEAR ON FLOORS 5, 6, AND 7. HOLDING COMPANIES FOR A WHILE AT 8:27 PM AND STRIKING OUT THE BOX AT 8:27 PM. SECONDARY SEARCHES ARE CLEAR, NO SMOKE CONDITIONS, ALL STAIRWAYS ARE CLEAR AND COMPANIES WILL BE PICKING UP SHORTLY AT 8:30 PM. STRUCK OUT AT 8:27:50 PM ON ORDERS OF 2-2-1. T50 CREW ON ARRIVAL REPORTS THEY HAVE SMOKE ON THE ROOF -- PUTTING THE AERIAL TO THE ROOF. A LITTLE SMOKE INSIDE. SHUTTING DOWN THE POWER AND HOLDING UP THE STILL COMPANIES. EMS: A66 FC ?? STANDBY A ?? 5-STORY APARTMENT BUILDING WITH NOTHING SHOWING. BC9 REQUESTS AN AMBULANCE TO THE FRONT OF THE BUILDING AT 4:03 PM. FIRE OUT BY 4:04 PM. EMS: A13? FC ?? STANDBY A ?? SQD30 CREW ON ARRIVAL REPORTS THERE IS NO EXTRICATION AND THE CRASH IS NEAR THE OLD COM ED SITE. ALL PATIENTS OUT OF VEHICLE(S) AND BEING EVALUATED BY 1:02 PM. TRAFFIC BACKING UP TO DUNDEE RD BY 1:00 PM, AND BACKED UP TO THE SPUR BY 1:10 PM. ALGONQUIN POLICE DEPARTMENT EVACUATING AN MANAGING PERIMETER; ALGONQUIN-LAKE IN THE HILLS FIRE PROTECTION DISTRICT ON STANDBY AT THE SCENE. KANE COUNTY BOMB SQUAD K-9 SEARCH OF THE BUILDING FOUND NO HAZARD. SCENE CLEARED AT 1:25 PM. REPORT OF A PERSON TRAPPED AND THE CAR "APPEARING TO LOOK LIKE IT IS ABOUT TO START ON FIRE" IN A CRASH AT "GOLF RD AND WALNUT LN ... POLICE FIRST ON SCENE REPORT NO FIRE, BUT ONE DOOR WON'T OPEN ON ONE OF THE VEHICLES. BC5 ARRIVAL REPORTS THE CRASH IS AT MOON LAKE AND GOLF RD. BC5 REQUESTS A SECOND AMBULANCE AT 11:59 AM. E38 CREW REPORT THEY'RE ON SCENE OF A CRASH AT 11:08 PM. E38 CALLS FOR A PIN-IN RESPONSE AT 11:08 PM. BMW CRASH WITH A CHICAGO POLICE FORD EXPLORER WITH BMW CAREENING INTO SANCHEZ TACOS. TWO MEN IN BMW KILLED. POLICE SERGEANT INJURED. CRASH WAS ALSO REPORTED AS 3200 W ODGEN AVE -- T32 FOUND NOTHING AT THE ADDRESS. POLICE DECLARED THE SCENE A CRIME SCENE BY 11:16 PM. CAR HIT THE BUILDING AT 4001 W OGDEN AVE.
BC14 REPORTS A FIRE HYDRANT SHEARED OFF AT ODGEN AND PULASKI. TRAFFIC SIGNAL DOWN ALSO. E82 CREW ON ARRIVAL REQUESTS AN EMS PLAN 1. E82 REPORTS A SCHOOL BUS AND THREE VEHICLES ARE INVOLVED. BC22 REPORTS A SECOND SCHOOL BUS IS ON THE SCENE TO TRANSFER NON-INJURED STUDENTS BY 9:57 AM. SIX CHILDREN, EIGHT ADULTS INJURED. CRASH ACTUALLY NORTH OF 95TH STREET.